Debbie Millman* is ubiquitous in the design realm. She is a writer, educator, artist and brand consultant. Her acclaimed Design Matters podcast has racked up an impressive 264 (and counting) conversations with leading luminaries of contemporary thought. Millman is the chair and co-founder, with Steven Heller, of the world's first graduate program in branding in the School of Visual Arts in New York. We've been fans of Debbie for ages and so glad she's noticed us waving, jumping and screaming from the sidelines. Debbie Millman "On Rejection" at the Weapons of Mass Creation Festival in Cleveland, Ohio, in 2016. Debbie Millman nominated Maria Popova, the writer, blogger and critic best known for her beloved Brain Pickings site. It seems as if the whole world loves BrainPickings.org. And why not? With millions and millions of readers a month, the site is a treasure trove of combinatorial creativity. Maria Popova, the force of nature who created the site over 10 years ago, never expected her personal labor of love (originally sent as an email to seven friends) would become one of the most respected and beloved places on the internet to read about science, literature, art, poetry, technology, politics and the entirety of the human psyche. But enough about Brain Pickings; I want to talk about Maria. Though it is hard to disconnect one from the other, it is important to do so. Maria is so much more than her tremendous accomplishments and success. Born in Communist Bulgaria, Maria first came to the US to go to college. Working four jobs while attending the University of Pennsylvania, Maria fine-tuned her now legendary work ethic. Here is where she also became an artist—a crafter of words and images. Maria brings her whole heart to the world. Her sensitivity and intuition fuel a profound empathy that is evident in everything she does. Maria seems to care about everyone, and she quietly does more for the people and causes she believes in than anyone I’ve ever met. Maria is deeply loyal, terrifically funny, terribly witty and utterly beautiful. The universe is a better, more meaningful place because she’s in it, and we are all the beneficiaries of her keen mind and salient spirit. Maria Popova's wildly popular blog "Brainpickings," which started as a weekly e-mail to seven friends, now has fans like William Gibson, Drew Carey, Mia Farrow and Biz Stone and is included in the Library of Congress permanent web archive. Listen to her in conversation with journalist Alexis Madrigal. Dani Shapiro is a writer, yes, but more than that: an artist of thought, crafting the raw material of the particular into the most timeless artifacts of universal truth; a scientist of feeling, using a single life as a laboratory for insight into the psychoemotional reality of the shared human experience. I first came to know Dani through her books, the product of her art, but over the years I’ve gotten to know the person behind the process and the process behind the person — a person animated by an uncommon love of literature, dogged dedication to the refinement of thought and language, and unflinching faith in the human spirit as the highest aim of art. It was through her art that Dani first became a kindred spirit, then a dear friend. And her friendship proved to be no different from her art – generous and largehearted, dimensional and deep, and absolutely irreplaceable. Over the course of a lifetime, is the poet’s job to become emphatically, powerfully, profoundly himself. To dig, to sharpen, to know. That deep, ongoing store of knowledge becomes the self-as-instrument. Honed, or perhaps whittled away like beach debris, blanched, made more starkly beautiful by time’s passage, the poet – this poet, Richard Blanco – writes verse that isn’t so much read as entered. Blanco’s work pierces, in the most deceptively simple of ways. We don’t know what’s happened to us until suddenly we are nodding, we are weeping. Childhood, love, home, connection, grief, memory, longing, belonging – with tremendous access to the inner world of his young self – his territory is nothing less than what it means to be a person, alive, in this body, this moment. What strikes me most about Blanco, both as a poet and a person (if the two can be distinguished, which perhaps they cannot) is his generosity of spirit. The poet Jane Kenyon once described a poem as reaching a hand out to another, saying me too, I’ve been there too. When I read Blanco I feel less alone. Less singular. My understanding of the human catastrophe sharpens and deepens in ways that enlarge my heart and my spirit, which is everything we can ask of the poet. Richard was the youngest poet in history to read at an inaugural ceremony. He also happened to be the first Latino, first immigrant and first gay person to do so. Watch him pay homage to the American experience at President Barack Obama's inauguration in 2013 and read his poem 'One Today'. Who the hell’s that rowdy woman behind me? She just photo-bombed me! Surely she’s not one of “us” poets, I thought to myself seated with about a dozen other poets waiting to take the stage and read to a packed house of about 2000 people at the Dodge Poetry Festival. She couldn’t be one of us—I could hear her cussing and laughing a most infectious laugh; she was loud and funny, confident and engaging. She wasn’t an aloof, pretentiously shy, self-conscious, neurotic mess of a poet, like most of us (myself included). But—much to my surprise—she was one of us: the MC called her name “Rachel McKibbens” and she graciously stepped up to the stage, immediately owning it with her goddess-like presence; she took a breath, and began: “go with the one…whose love lifts its head to you despite its broken neck…” Her words portioning time and arresting space like an aria exhaled by her otherworldly voice that would change my life forever and make me rethink everything I thought poetry and the life of a poet should be. By the time she finished reading—pardon the cliché, but even for a poet there’s no other way to say this: tears were flowing down my face. At that moment, I knew I needed to know Rachel—and know her for the rest of my life. Luckily, that’s exactly what happened. After her reading we instantly became soul-friends over Martinis and Buffalo wings at the hotel bar. Throughout the years since, our journeys have intersected marvellously. Rachel is my teacher: she’s taught me that poetry is more than a spit of clever words on a page, but rather, a living experience, born out of our bodies, not just your minds. Rachel is my sister: she never misses a beat, lovingly teasing me about my hair, my nerdy blazers, my way-too-neat three-ring binder of poems; she makes me laugh at and love and all my idiosyncrasies. 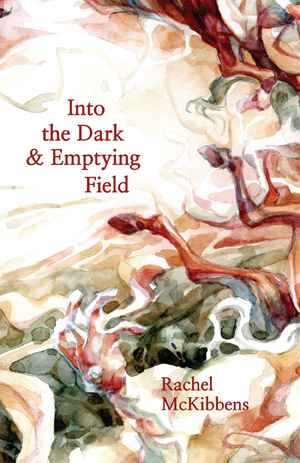 Rachel is my preacher: she’s instilled in me a call to action, believing that poets ought to be at the front lines of social justice issues; she’s made me stop navel-gazing, and gaze instead at the inscrutable stars. Rachel is my mother: she takes care of me with just the right word and just the right time, whether in a poem or in a text; and she’s an incredible mother to her own five children whom she loves as uniquely and authentically as her poetry. She’s is the one whose love lifts its head to me despite its broken neck. And so, I was sort of right, Rachel is not a poet—she’s more than a poet: she’s a force, an element, a source, a shadow, an attraction. She is pure starlight—see and read for yourself. Safia Elhillo is a Sudanese-American poet whose extraordinary work inspires me to seek my place within this country and make a home within it. Elhillo's poems read like vibrant prayers for the silenced and displaced—brimming with empowerment, her poetry sees and names in ways that awaken new eyes in the reader. Elhillo's fidelity to truth elevates her work beyond the bland confines of English. Her defiant syntax holds a gorgeous balance of feeling both grounded and clairvoyant: the language sings through the body and above, the women of her stories are visceral and elegant. Elhillo approaches loss and love with a startling freshness, both woven in musicality and fearlessness, all qualities that make her poetry human and timeless.